What is the best practice to display empty commit message? At the moment I'm developing Google Material design desktop app where users can view commit details. When there is no commit message I'm displaying * no message *. Should I display No commit comment or maybe should I leave a blank place if there is no commit message? [...] where users can view commit details. 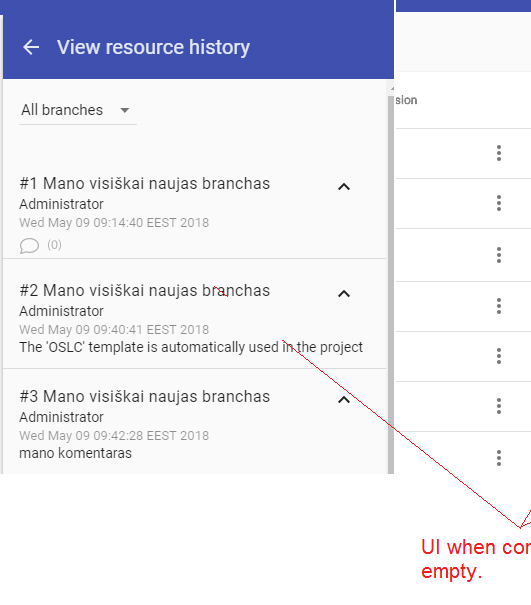 Since displaying commit details is the main purpose of the page, and considering that commit messages are a vital part of version management, it would make sense to visually notify the user about all the details of a commit, including the lack thereof. "No commit message entered" in clear, opaque text would be informative enough in this case and might even motivate users to enter commit messages in the future (as this is considered best practice) and indirectly improve their project quality. Not the answer you're looking for? Browse other questions tagged material-design empty or ask your own question.